The beautiful and hospitable Hotel Belle Helene is built in the area of St.George (Pagon and Armenadon) , in a very picturesque bay , thirty five (35) km from the city of Corfu in the NW part of the island. In the boundless beach which has been awarded with the blue flag by EEC you will enjoy the sun and the sea since only the road is between the hotel and the beach. At the back side of Hotel Belle Helene is a wonderful green hill. Hotel Belle Helene has two (2) suites , fifty (50) twin double rooms and two (2) single rooms all equipped with bath or shower with cold and hot water and telephone. All rooms have view to the sea. The hotel has a satellite TV and of course you can exchange money , use the safe deposit boxes and shop in the boutique at the reception hall. 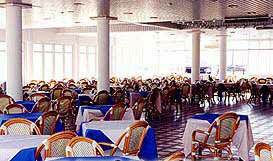 Belle Helene has a swimming pool, bar, music snack bar , restaurant with Hellenic and International cuisine. Guests can enjoy the famous specialties of the local cuisine and they can also enjoy night life with Hellenic dances once a week. There is a public telephone and parking place for your cars. You can also rent a car from our rental company. Είστε ιδιοκτήτης ή διευθυντής στο BELLE HELENE; Εγγραφείτε τώρα για δωρεάν εργαλεία, που μπορείτε να χρησιμοποιήσετε για να βελτιώσετε την καταχώρησή σας και να συνδέσετε την ιστοσελίδα σας και το σύστημα κρατήσεών σας.